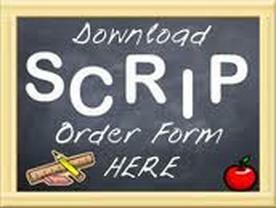 SCRIP is a term that means “substitute money”. 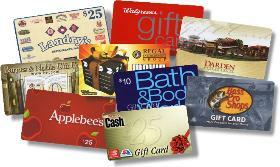 When you purchase SCRIP, you’re purchasing negotiable gift certificates and prepaid cards that are used just like cash. You can use SCRIP to purchase everyday expenses like groceries, clothing, toys, gifts, even gasoline and other essentials, and with every purchase, you earn revenue for Holy Cross. When and Where can I purchase SCRIP? Volunteers are in the back of church before and after the weekend Masses to sell SCRIP or take your orders. They are also available at the parish office Monday-Thursday from 8AM-2PM, and Friday 8AM-NOON. or check your child's Friday folder for a paper copy. Can purchasing SCRIP help with school tuition? Yes! This is the Tuition Reduction Incentive Program, or TRIP. With every purchase of Scrip, the rebate given by the retailer will be split 50/50 between the parish and a school family. 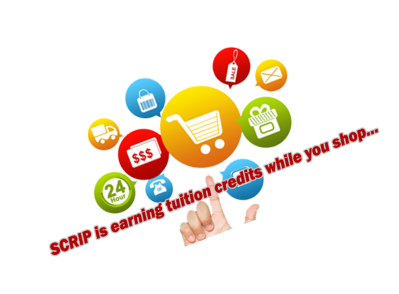 When ordering SCRIP, the buyer needs to inform the seller of which family gets the tuition credit. TRIP credits accumulate from June-May, and the total will be applied toward the upcoming school year tuition. Use scrip retailers for all of your expenses. By budgeting first, you can see how much money you have to spend in each different category. Then choose our favorite scrip retailer for every category. When you use scrip for gas, groceries, clothes, prescriptions, and other everyday shopping, your rebates really start to add up. Not only are you sticking to the budget, you're also earning for your organization! Start out small to get the hang of it. 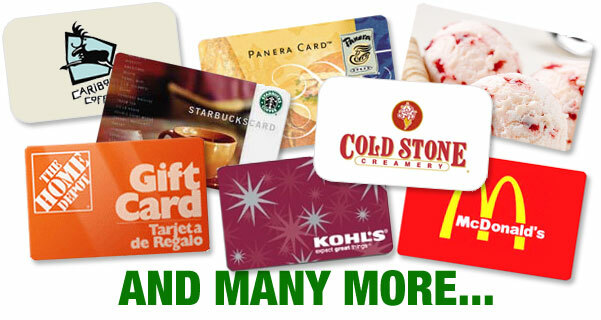 Order gift cards you know you will use every week, like gas and groceries. If you're not comfortable purchasing gift cards for your full amount of weekly grocery money, try ordering half of your budget in scrip to start. Once you have a system that works, you can increase your purchases. Try using an envelope system to budget your money. You can easily replace your gas, grocery, and entertainment money with scrip. Refill your envelopes with gift cards every week to make it easy to stick to your budget. Click here to check out how Dave Ramsey's Envelope System works, or copy and paste http://bit.ly/7kh9pr into your browser.